Firstly - HAPPY NEW YEAR! I am sure you are all bored of that by now, but hey what you gonna do? I only get to speak to you once a month so this is my first chance. Could January finally see the end of the wretched snow? Lets hope so, now that most of us have atleast managed to get atleast one good car wash in. Here at UK Passats we have been working on some 'behind the scenes' changes. This should see a more stable online forum, along with a members only area. I will let our interpid leader and founder of UK Passats explain more further on . David (Water01) who looks after all the technical side of the website is also going to be upgrading the current programming. Again David will explain in his own words further on in the newsletter. There seem to be a fair few build threads being updated. Which is a good sign, and what ever you have planned, remember, we want PICTURES!! So for now, I will wish you all good luck for your January plans, and hope to see you on the forum soon. This year was a very close run race for Car Of The Year. In the end it went to December's COTM - Lucas G60. This is a truly stunning car, with the type of build and equipment most of use can only dream of. The word on the forum is that he is selling his B5, but fear not he is hoping to aquire a newer model. So 2011 could se us treated to another wicked build. Very well done , it is very well deserved! 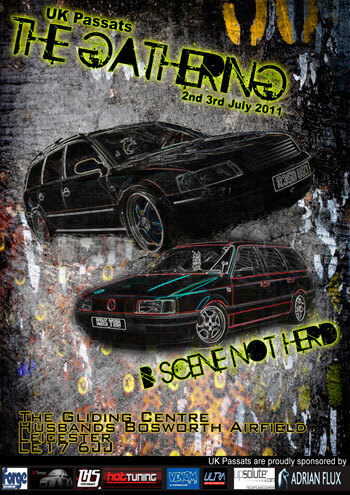 MEMBERS DISCOUNTS SECTION - Due for an overhaul for 2011 , we shall be completing new membership cards with ukp members unique ids on that will enable members to gain exclusive discounts and prices on a number of parts/tuning etc , this will be included in a membership pack which will also include a sticker and a list of offers for these members . As well as this members to this group will also get there very own chat area and members section within the forum just for them when they pay the yearly membership cost of £10, you can save far more than this in one transaction alone !! so well worth the money , and ALL the funds will go back into ukpassats website and forum/servers etc to improve the experience members already have . Over the next month we are planning to do a few upgrades to the forum. The first is to update it to the latest version of the PHPbb software (3.0.8). This will mean the forum will not be available for about 2 hours while the update is taking place. We will post the exact date and time on General Chat after it has been tested offline. The second is to add a modification that has been in test that will limit Guests to only seeing the first Post in any Topic. Again this will mean the forum will be offline but this time only for about 15 minutes as it does not involve so many files, and we will keep you informed in General Chat.